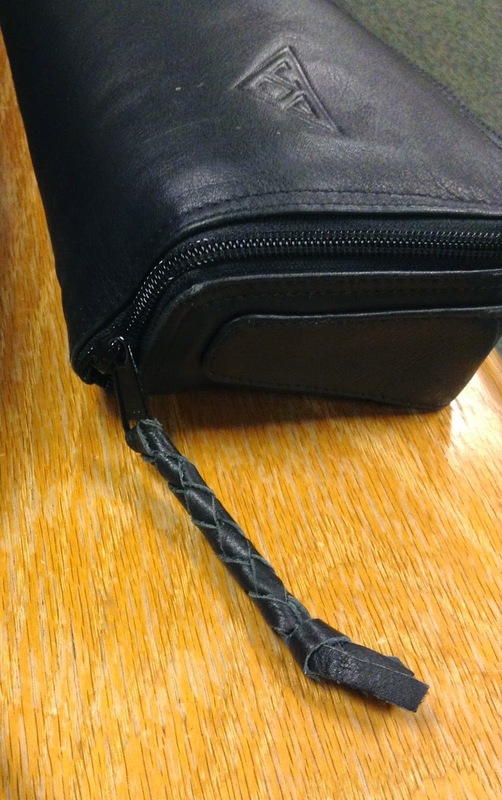 One question we received recently was about the zipper pull on our leather Powell case covers. We know it gets much wear and tear and has come unraveled for some Powell owners. Our repair technician was even stumped, but she did offer the recommendation of contacting craft stores or other people who may have experience making braided jewelry. After a bit more research, we discovered that a trip to the craft store may not be needed -- you can watch video tutorials! The braid is a 4-strand "diamond braid" or "round braid." We hope the videos below will help. You'll have two middle strands and two outer strands. Each outer strand will go back around the two middle strands and then through them. You'll do this in succession, alternating the outer strands. It's much easier to watch, though! One thing we could not find was how to tie the end of the braid. From what we've seen, it looks like a regular knot should work, but feel free to explore the web for some more intricate knots.